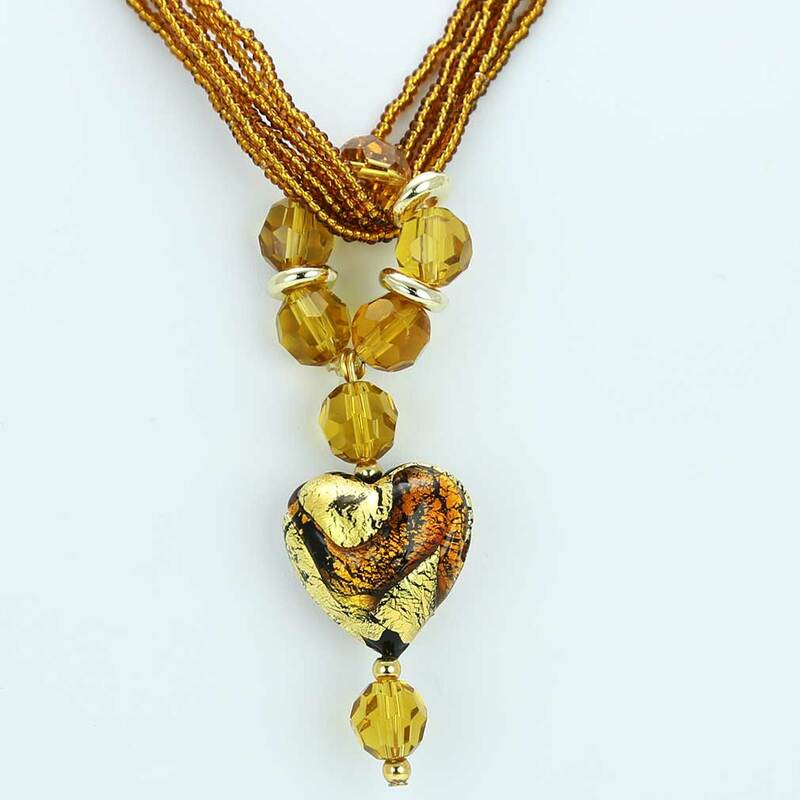 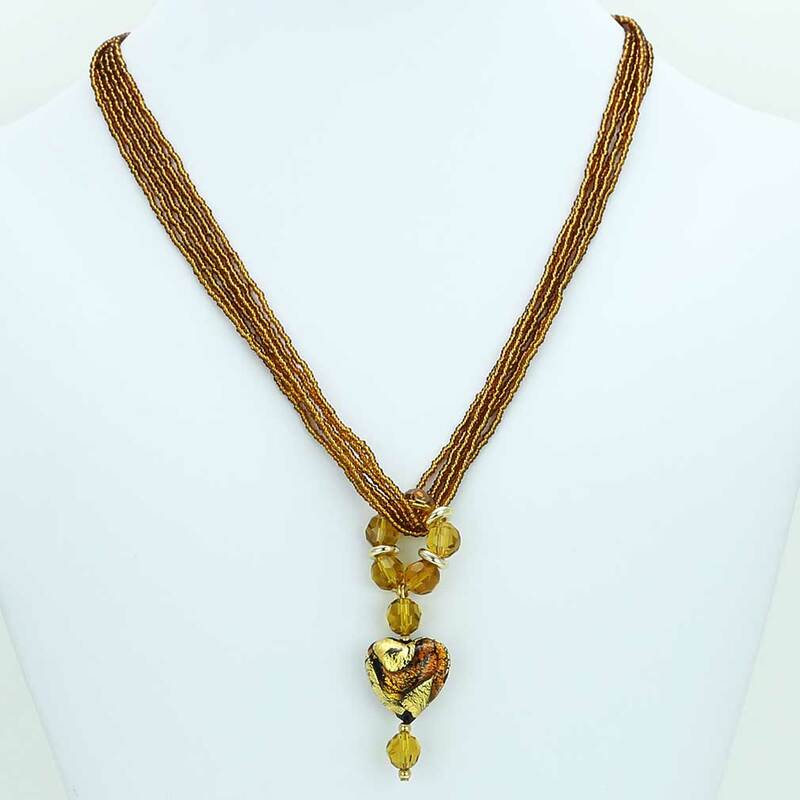 This gorgeous contemporary Murano necklace in dark topaz and gold color palette features an exquisite 24K gold-layered heart at the center attached to a beautiful beaded ring and suspended from an elegant multi-strand beaded necklace. 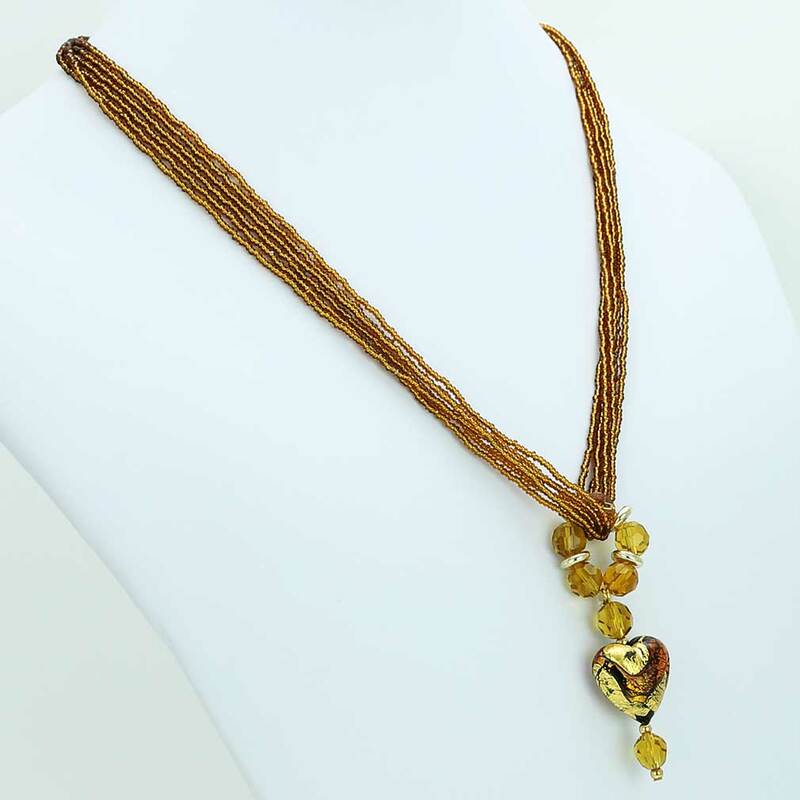 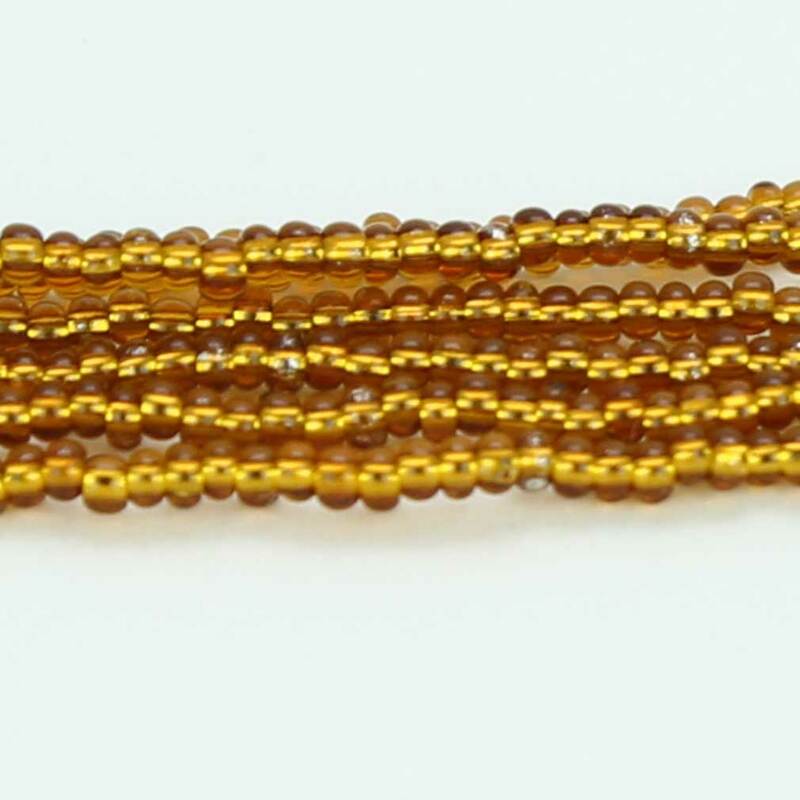 When this Venetian necklace captures the light you can really see it shine, as the seed beads and the heart light up with rich shades of amber, cognac, and gold reminding us of the treasures kept in Venice's decadent palazzos. 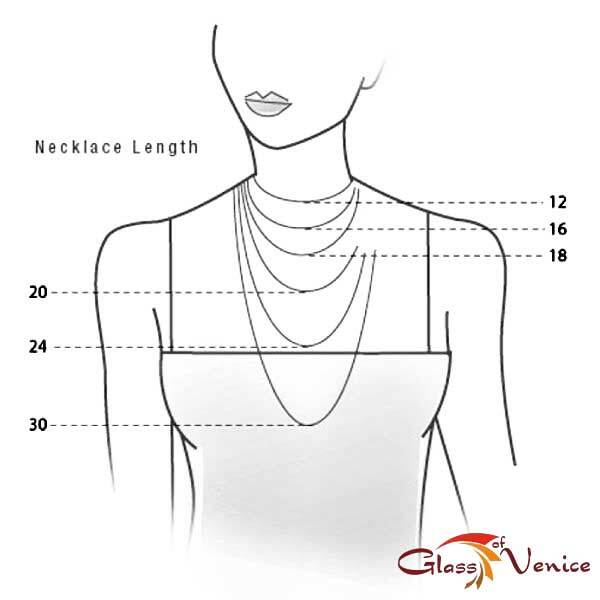 This Murano glass necklace is a unique hand-made artistic creation that demonstrates why Murano glass makers have been famous around the world for ages. 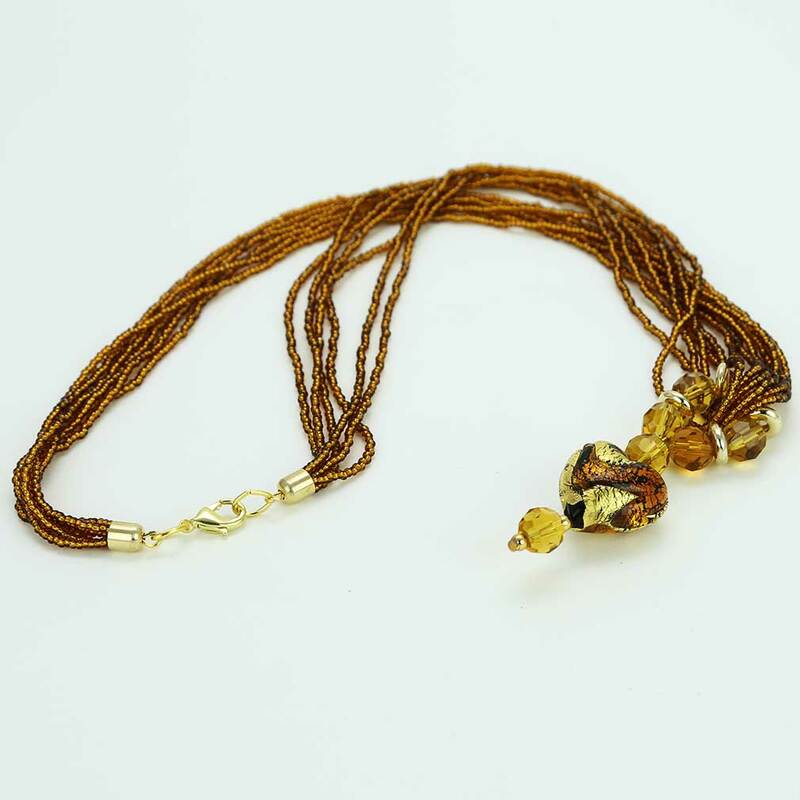 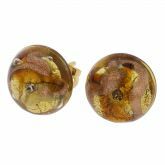 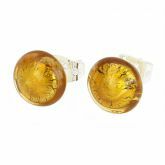 This versatile piece of Italian jewelry can be worn with your evening or casual clothes and will bring an aura of Venetian romance and elegance to any setting.